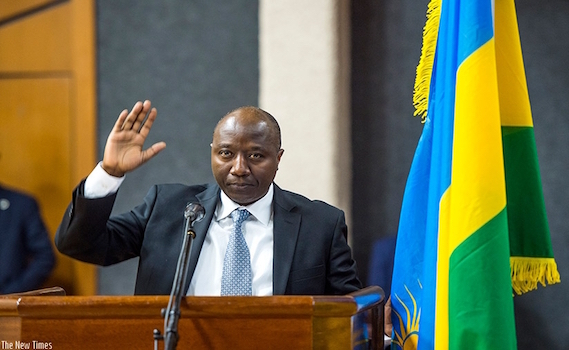 Rwanda’s Prime Minister Dr. Edouard Ngirente has suspended Deputy Director General of Rwanda Agricultural Board (RAB), Dr. Daphrose Gahakwa. Dr. Gahakwa was suspended with three other staff, Innocent Nzeyimana, Head of Land Husbandry, Irrigation and Mechanization Department, Violet Nyirasangwa, Head of Corporate Services Division and Theogene Bimenya who was in charge of finance. The reason for their suspension has not been revealed. The dismissal has come days after the Parliamentary Public Accounts Committee (PAC) released a damning report indicating gross misuse of public funds and abuse of office by the dismissed officials. The Public Accounts Commitee (PAC) report of the year 2014-2015 found 35 mistakes committed by RAB management and called the senior management for clarifications in parliament on September 27, 2016. At the time, Dr. Daphrose Gahakwa was the Acting Director General of RAB. Among the mistakes PAC’s report revealed were about the distribution of fertilizers, problems in distribution of seeds and artificial insemination. PAC accused RAB of working in a disorganised way and the poor cooperation between RAB’s entities which made ‘RAB spend most of time resolving those problems instead of thinking of what can be done to improve agriculture”. PAC’s report then revealed that RAB had a debt of Rwf114 million it owed other institutions. Dr. Gahakwa admitted that this was due to the irresponsibility [of RAB], not to record the debt and apologized for those mistakes to members of parliament. PAC also had found that RAB had awarded tenders in unplanned ways. Members of RAB’s tender committee told Parliament that those tenders came instantaneously and in need, which caused RAB to award them suddenly. Parliament questioned how a big institution like RAB could award tenders worth Rwf800million suddenly without respecting bidding procedures. RAB currently runs on an annual budget of Rwf16 billion. PAC revealed that the misuse of funds committed by some public institutions, including RAB, was due to the their financial advisers who do not do their jobs effectively and managers who sign for what they don’t know. On October 9, 2017, PAC summoned RAB senior management to Parliament, but the Deputy Director General Dr. Daphrose Gahakwa did not show up. Dr. Mark Cyubahiro Bagabe, the Director General of RAB told journalists that the fact that his Deputy, Dr. Gahakwa, did not attend the parliament session was an act of insubordination to RAB senior management and to other authorities above. “About the insubordination to RAB as an institution, she [Dr. Daphrose Gahakwa] disrespected it and it [RAB] has the way it will react on that. But, she disrespected even me, her senior, who had invited her to come to parliament. She also defied the higher-level authorities than the institution she works for”, Dr. Cyubahiro Bagabe was quoted as saying. On that day, Bagabe told journalists that there are questions that went unanswered to Members of Parliament because Dr. Gahakwa who would have answered them was absent. Efforts by Taarifa to reach Dr. Daphrose Gahakwa for a comment were futile as her cellphone was not available until press time. Dr. Gahakwa once served as Minister of Education in 2008 to 2009 and Chancellor of Kigali Health Institute.